Photographer: Araki Landscape Designoffice, Inc. 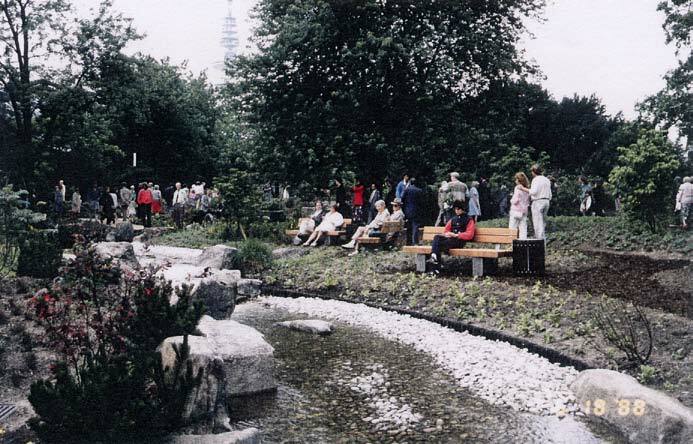 Visitors enjoy the Japanese gardenby the stream. This garden is in a corner of the “Planten un Blumen” horticultural park in the city of Hamburg. 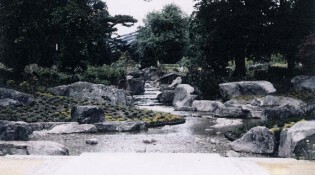 As part of a plan to regenerate the whole park in 1985, city officials held a design contest for a Japanese garden, and Araki Yoshikuni of Osaka won the competition. Recognizing the value of traditional Japanese landscape gardening technology, Hamburg city authorities wanted an authentic Japanese garden. On this basis, a five-point plan was developed. The first point was the avoidance of “artifice;” great importance was placed on the use of natural material. 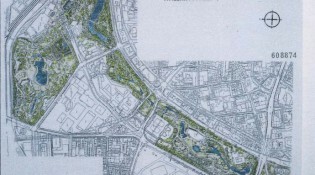 The second point was to take a Japanese approach to the use of water features, incorporating energetic flow into the design. The third point was that the design should be long-lasting, reflecting the values and history of the town’s citizens. The fourth point was to carefully design the plantings so that they could be enjoyed in all four seasons. 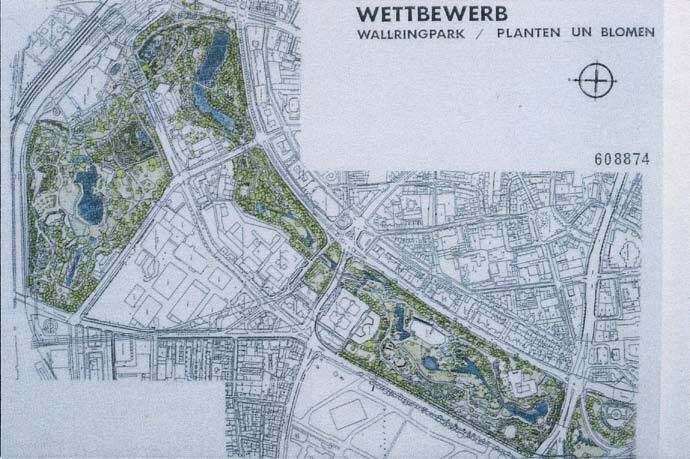 The fifth point was to create the garden as a representative green open space of Hamburg, because people from all over the world visit the city. 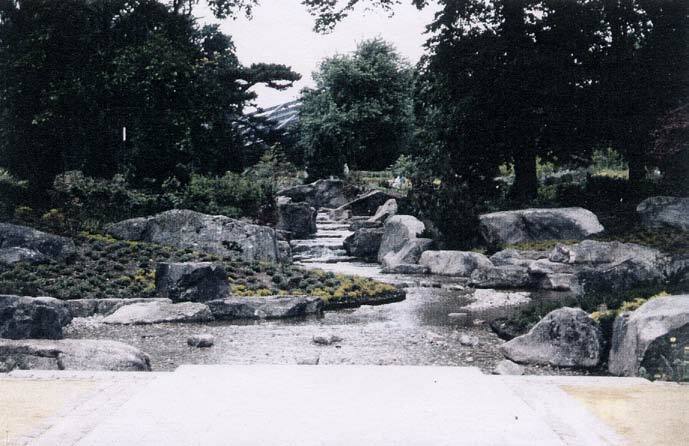 One main purpose of the design of the “Japanese landscape garden” was to bring to the citizens of West Germany the joy of cool, clear water, both roughly flowing and perfectly still. The various watercourses, which include waterfalls, a lively brook, and a swiftly flowing stream, flow into the placid lake. 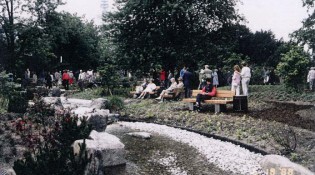 Twenty benches were installed alongside the water to allow visitors to experience the water up close at their leisure. The focal point of the garden is the lake, on whose shore stands a rustic teahouse with its terrace facing the water. The teahouse is approached through a wooden gate that creates a boundary to this ceremonial area.